Across the globe, people from all walks of life made resolutions on New Years Eve, aiming, as they do every year, to have another stab at doing better in the areas where theyve lagged. Across the globe, people from all walks of life made resolutions on New Year’s Eve, aiming, as they do every year, to have another stab at doing better in the areas where they’ve lagged. 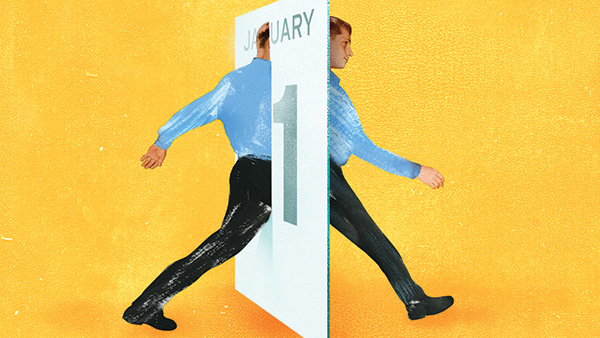 For financial advisors, the end of one year and the beginning of another is an excellent time to get their clients to commit to making at least one, sound financial decision. The human mind is wired in terms of viewing New Year’s Eve as a landmark event, said Katherine Milkman, the James G. Campbell, Jr. assistant professor of operations and information management at the University of Pennsylvania’s Wharton School. Research has shown that it’s one date that inspires positive behavioral tendencies in most people, she said. However, Milkman’s research has expanded the body of evidence on the so-called “New Year’s Effect” by showing that human beings actually make positive resolutions at any number of different points in their lives. Studying this “Fresh Start Effect,” she said, can prove extremely valuable in many different ways, particularly as it relates to financial planning, because it has the potential to help people overcome willpower problems that often limit goal attainment. Milkman and her team studied three different data sets to formulate their theory. They looked at the number of Google searches done on diets and examined data on gym attendance—two very important markers of aspirational behavior, especially after major holidays like Thanksgiving and Christmas. “We extended our data search to birthdays, which also exhibit the Fresh Start Effect in areas like gym attendance,” she said. Sure enough, action on the site demonstrated clearly the Fresh Start Effect, “so we know that commitments made on landmark dates aren’t just driven by gluttony,” Milkman said. Temporal landmarks, including personally meaningful events such as birthdays and job changes as well as socially constructed calendar partitions like a new month or a public holiday, demarcate the passage of time and open new mental accounting periods, Milkman said. Specifically, natural time markers create discontinuities in time perceptions that make people feel disconnected from past imperfections by disrupting their focus on day-to-day minutiae and promoting a big-picture view of life. For financial planning, the research is even more meaningful. While many people start out gung-ho with diets and exercise, many of them don’t last that long. On the other hand, a single financial planning decision such as committing a set sum from a paycheck to a retirement account has much longer-term implications, Milkman said. “Compared to gyms and diets, all you need to do when you make a financial decision is to make one choice on one day for a long-term change,” she said. As such, it would be greatly beneficial for financial planners struggling to get their clients on track to figure out which landmarks other than New Year’s Eve are important to them, Milkman said.